Annie Hudson focuses her practice on patent litigation. 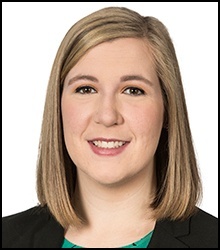 During law school, Annie worked on litigation and trademark matters as a Wolf Greenfield summer associate. Last week, the Supreme Court heard oral arguments in Oil States Energy Services v. Greene’s Energy Group—a case that addresses whether inter partes review unconstitutionally usurps the federal courts’ authority to adjudicate the validity of patents. An examination of the Justices’ questions provides hints of how they are thinking and suggests that IPRs may survive constitutional review. Last week, the U.S. Supreme Court heard oral arguments in two patent cases concerning IPRs. The first case (Oil States Energy Services v. Greene’s Energy Group) has garnered much of the attention because it concerns the constitutionality of IPRs, but the second case (SAS Institute Inc. v. Matal) may actually have a bigger impact on how IPRs work. In SAS, the Supreme Court considered the PTAB’s practice of selecting which challenged claims it reviews, rather than, once it institutes a trial, issuing a final decision on the patentability of all claims challenged in the petition. The oral arguments suggest how the Justices are approaching the case.